LAMBTON COUNTY, Ont. 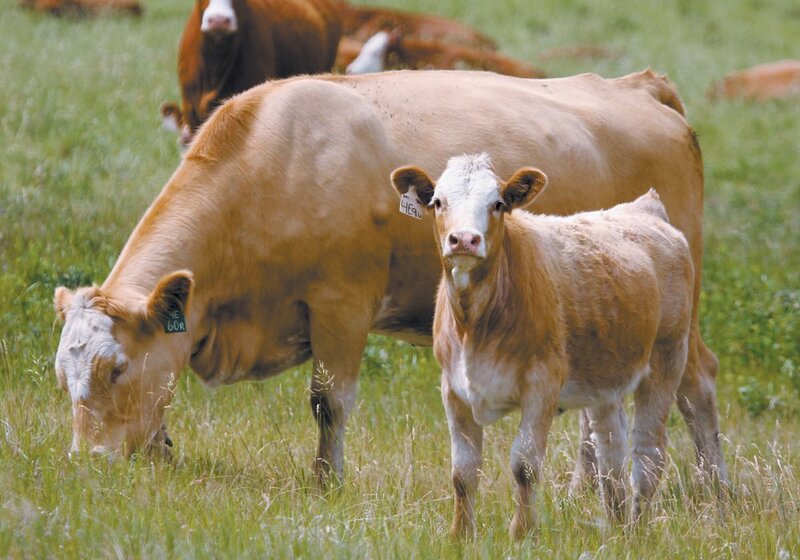 — The concept of farm to fork is not new to many beef producers but making a long-term success of it is another issue altogether. 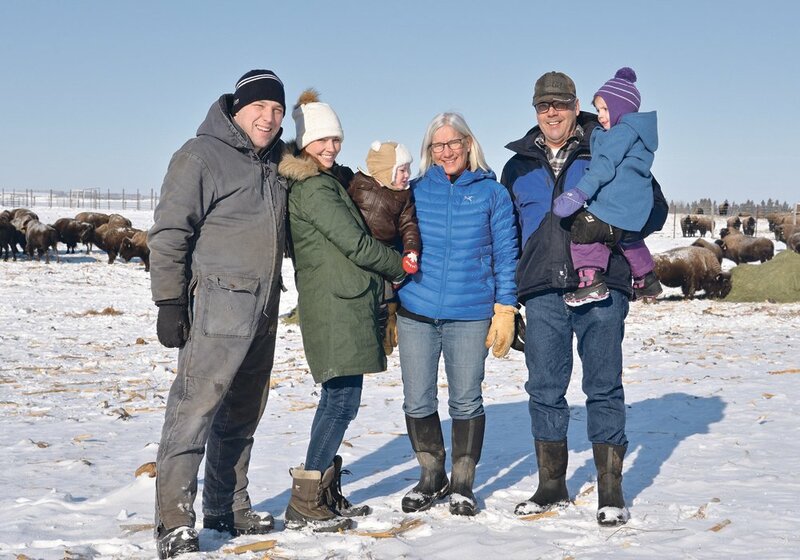 Murray and Sandy Shaw and friends Ralph and Brenda Eyre of Lambton County, Ont., sell their Limousin beef online and through a local farmers’ market under the brand name Bluewater Beef. Cattle markets crashed in 2003 following the discovery of BSE in Canada because of uncertainty over the disease and closed borders. “Once BSE hit, prices tanked for a while and we found we were making more money selling our sides and quarters than we were shipping them on the truck,” Sandy Shaw told a group of visitors to Bear Creek Farm. They had some experience in direct sales but needed more information. 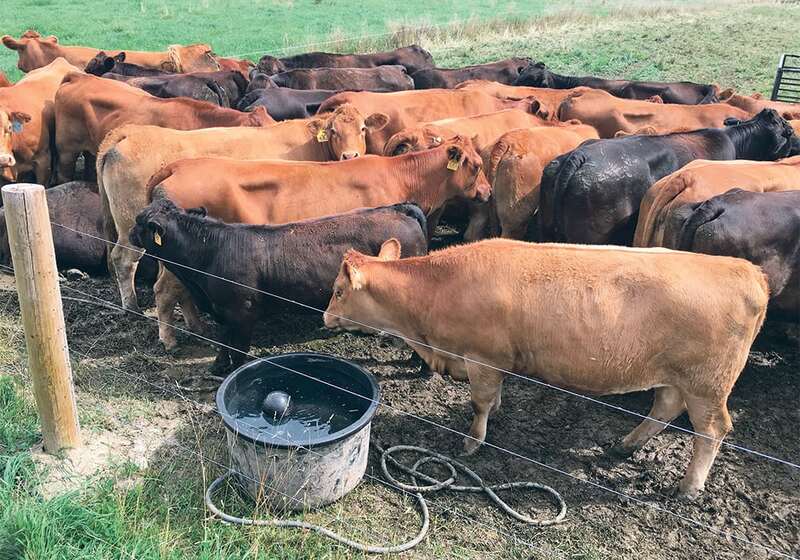 A grant from the Ontario Cattlemen’s Association funded a marketing consultant to help write a business plan and explore the extent of the local market. “We have learned a lot through the process. It helped us determine our cutouts for each animal and the different ways you can cut a carcass and the different ways you can determine how to get the most value of each animal,” she said. They raise about 100 purebred and commercial Limousin and about a third of their cattle go through the program. The Eyres have a smaller herd. A third partner previously dropped out. They have veered away from the original consultant’s report as they learned what people wanted and how best to market local beef. “We think we were pretty much on track with what we thought we should be doing,” she said. 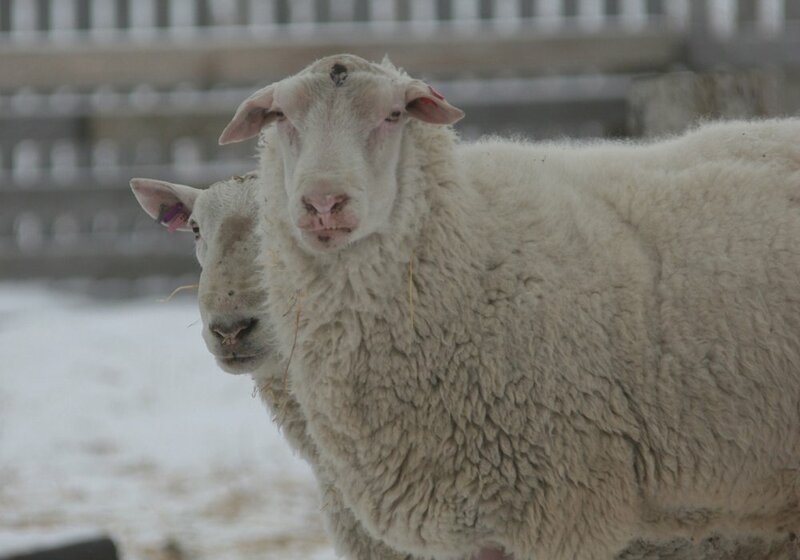 They work with a provincially inspected abattoir located in their county. The plant kills about eight head a week. They keep track of individual cattle through the traceability program BioTrack and beef inventory is done through BioLink. “We have 100 percent control of everything that goes into those animals. We are not buying from other sources so we can guarantee right from breeding everything that is in those animals,” she said. The BioTrack program allows them to trace every piece of meat. Each package carries the animal’s cattle identification number. Before they started the beef program, they participated in a traceability pilot program so they were familiar with the concept. Probably 90 percent of their business comes from online sales and the rest is at a farmers market where they sell individual cuts or put together boxes with a variety of cuts. The boxed packages contain a mixture of boneless, frozen cuts. Every box has at least one roast, ground beef, patties and an assortment of steaks. Boxed packages range in price from $90 up to a premium box of about $250. They will deliver orders and customers may also come to the farm and pick up orders or buy cuts. They conduct about 95 percent of their marketing through social media, such as a mass email to customers and often they will see sales jump a couple days later. Some customers request heart, tongue or liver and those products are set aside. Often the customers are buying those pieces for their dogs. “For the last year and a half, we have had a waiting list for oxtails,” Shaw said. Typically the farm offers tenderloin, New York strip, sirloin and rib eye steaks. Unless there is a specific request for a cut like flank or London broil, they grind everything else because the demand is so high for patties and hamburger. They charge $6.25 a pound for ground beef or offer packages of four- and six-ounce patties. “We can’t get enough ground beef out of our cattle,” she said. Shaw added that they are trying to increase the number of people buying beef in the area, rather than competing with neighbours. They talk directly with customers and tell them how they live and work on the farm and spend a lot of time educating buyers. The two farms use the same four bulls and about a third of their herd is purebred Limousin. Calves are born year round. Murray admits it is not efficient but they need the beef. To take advantage of a small acreage, they use a rotational grazing system of 35 paddocks so the grass has 35 days to rest. Each is enclosed with an electric fence and the water trough can be moved every day with the cows and calves. “Rotational grazing works well and they did not take a lot of time to learn to move,” he said. 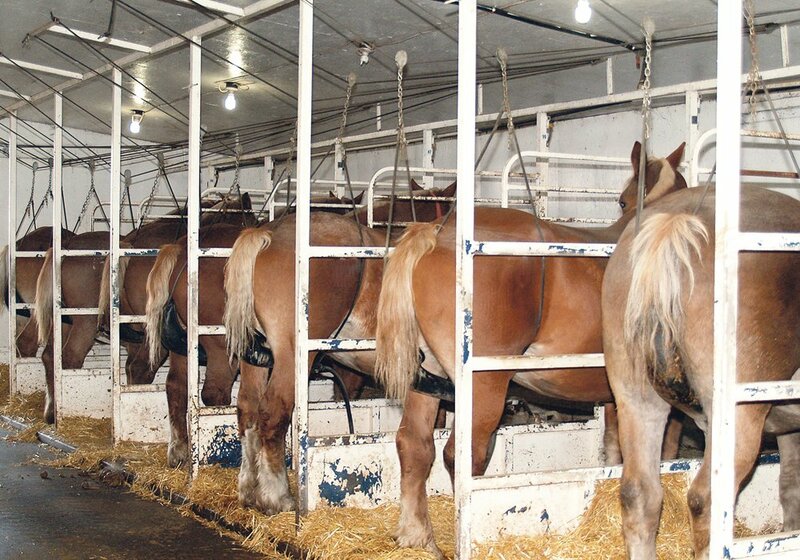 Murray devised creep feeders on wheels that go with the cattle so the calves get enough to eat. The calves stay with their mothers until they are about eight months old. The Shaw herd is red and black but the plan is to differentiate them by having more reds because all the breeds have black cattle. 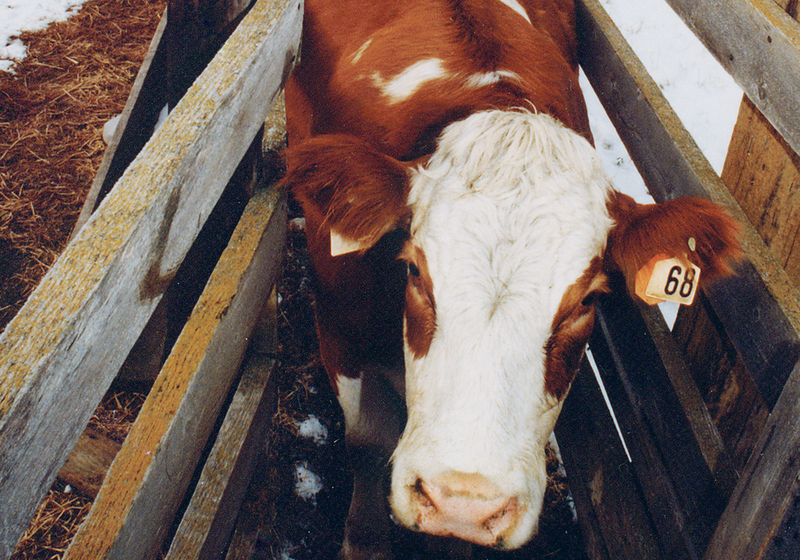 In winter, the cattle go to barns and are placed in grower and finisher pens. The cattle receive corn, straw and protein supplements. They are weighed every month to determine if they are approaching market weight or need more time on feed. The program is hormone free and the cattle gain three to four pounds per day without implants. They are ready for market by 18 months of age. Outdoor feed bunks are also available and have enough space so all animals can eat at the same time without the aggressive ones pushing the timid ones away. Using the RFID tags for individual identification and the BioTrack program, their next plan is to gather more information to build a base for better breeding decisions.